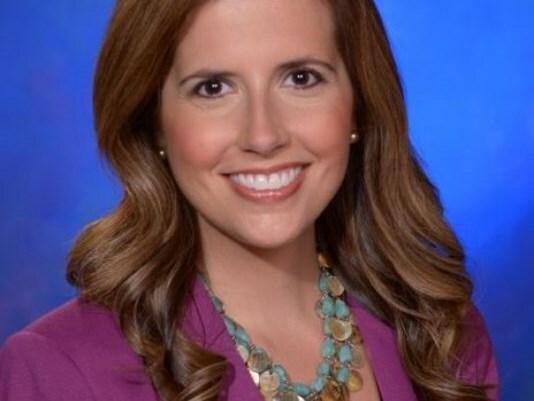 Nina Mehlhaf is a news reporter and weekend anchor for KGW News. She is so thankful to be back in her hometown of Portland. Nina first got the itch to cover news after watching KGW reporters on freeway overpasses and Sylvan Hill as a child, hoping for a snow day. Before coming to Portland, Nina was the main anchor of KTVZ NewsChannel 21 in beautiful Bend, Oregon. While there she earned awards from the Oregon Association of Broadcasters for Best Coverage of Breaking News in 2008 and 2011. She’s also been honored for her reporting by Oregon Press Women. The Source Weekly newspaper and Central Oregon Magazine have also awarded her Best TV Personality. Prior to Bend, she was a reporter and anchor at KTXL Fox40 in Sacramento, California. There she covered many national news stories such as the two wayward whales that swam all the way to Sacramento from the San Francisco Bay, the Angora Fire that burned over 250 homes in Lake Tahoe, Governor Arnold Schwarzenegger’s time in office, the Oakland bridge collapse and many others. Because of her roots as an Oregonian, and her stockpile of outdoors-ready clothes, she was often the one sent to cover the record snowfall in the Sierra. Nina graduated from the University of Oregon, and attended Jesuit High School in Portland. She’s served on the Bend chapter of “Start Making A Reader Today,” or SMART, a children’s literacy program that pairs volunteers with children in K-3rd grades who are falling behind. She also worked with Bend non-profit Healthy Beginnings to bring awareness to early childhood development screenings. And she volunteered at horse rescue ranch Equine Outreach in Bend.